Do you love horses and pack riding? If so this may be the perfect camp for you! Get to know Sunset Lake's own herd of horses and enjoy a number of special activities related to horse packing. 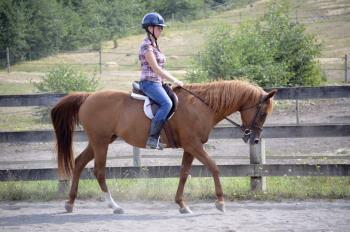 While most of our horsemanship camps focus on arena riding, this camp gets you on the trails! Your afternoons and evenings will be spent with your cabin doing normal camp activities.